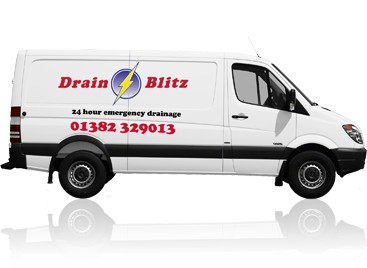 We are a local insurance approved company in Dundee that’s provides all aspects of drainage services. We carry out all aspects of drainage, water mains, CCTV surveys, excavation, and relining works for Insurance Networks. All of our staff are fully trained in SHEA the utilities card, CSCS, CCTV sewer surveying, water jetting, confined space and hold the necessary certification. Our vans carry our logo and are fully equipped with the latest technology, Including the latest leak detection and mapping equipment. We are accredited members of Construction Line, SSIP, Safe Contractor, N.A.D.C Certified drainage contractors, insurance approved and members of the Water Jetting Association. We operate 24 hours a day, 7 days a week covering all Scotland. Our policy is to give a professional service, good housekeeping, and extremely competitive rates on fixed price or per hour basis.